Happy Birthday Dr. Seuss! To celebrate, I have a freebie to share with everyone! 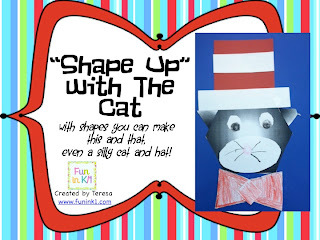 Come on over to get the printable and directions to make these shape Cats with Hats! even a silly cat and hat! I love these classic books and how they are springboards for so many things!